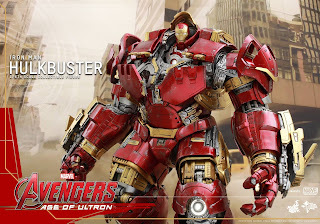 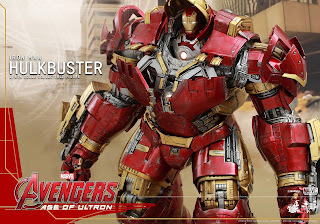 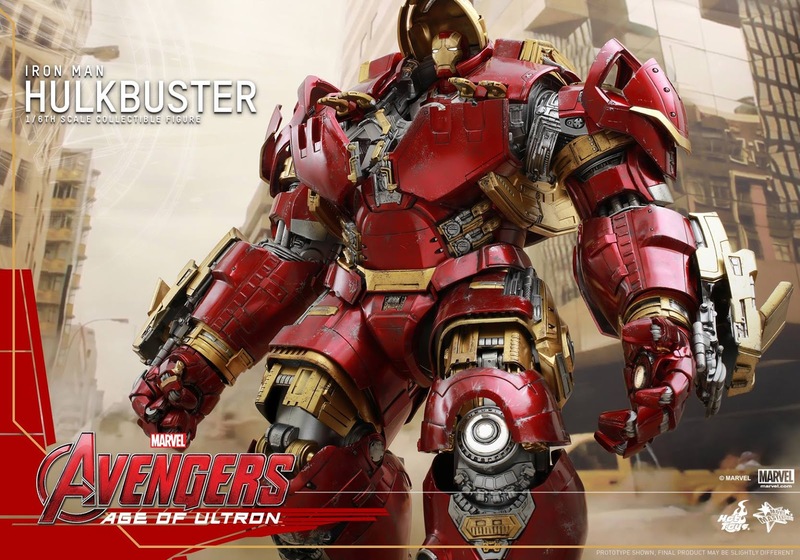 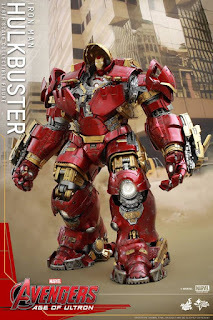 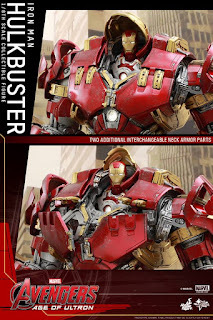 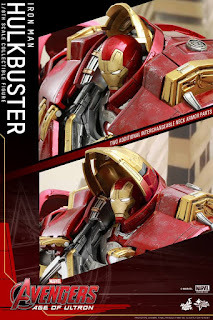 Hot Toys updates 1/6 HulkBuster features and accessories! 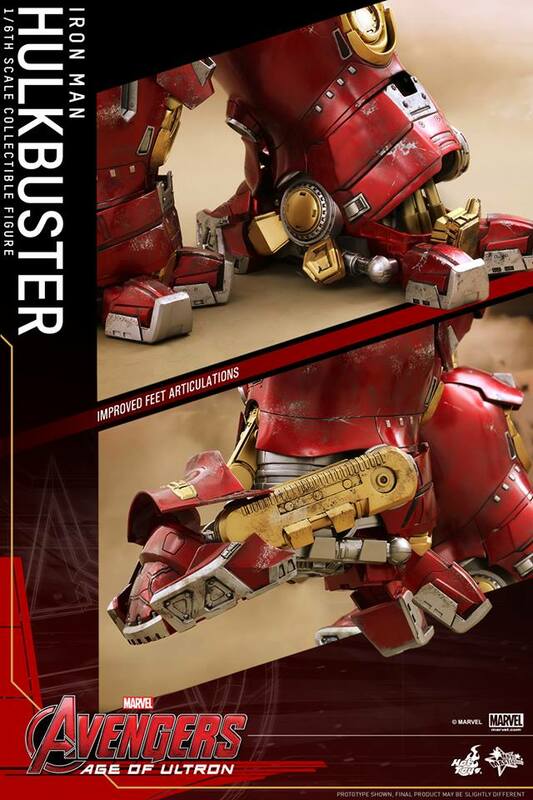 Hot Toys have announced updates for their upcoming HulkBuster with new features and accessories! Check out the pics and details below straight from Hot Toys! 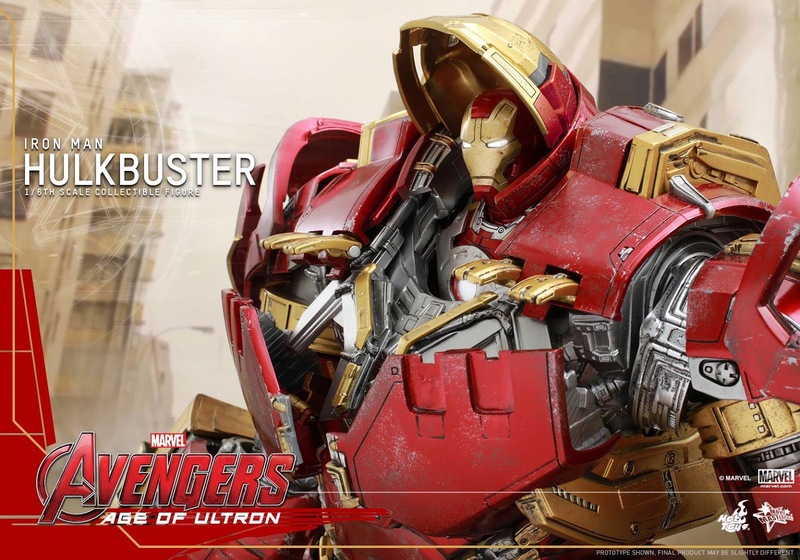 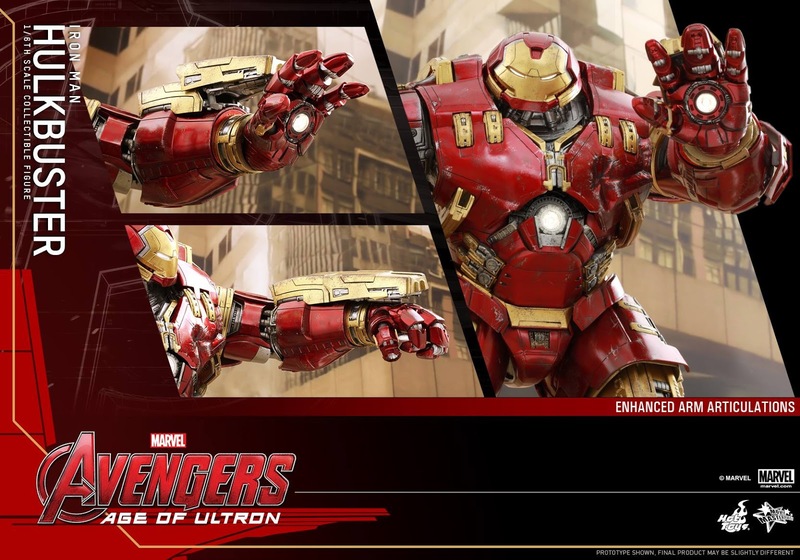 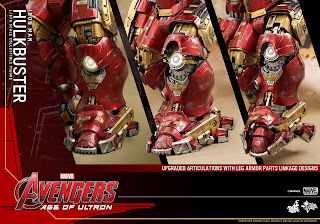 The Hot Toys 1/6th scale Hulkbuster collectible figure from Marvel’sAvengers: Age of Ultron has grabbed many fans’ attention upon its first official reveal! Previously, Hot Toys has mentioned there will be more in store for this gigantic machine, and today we are happy to share with you all the various updates we have made to this incredible collectible figure! 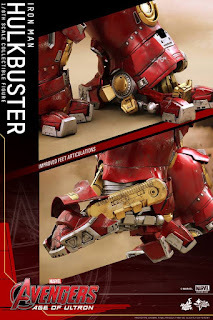 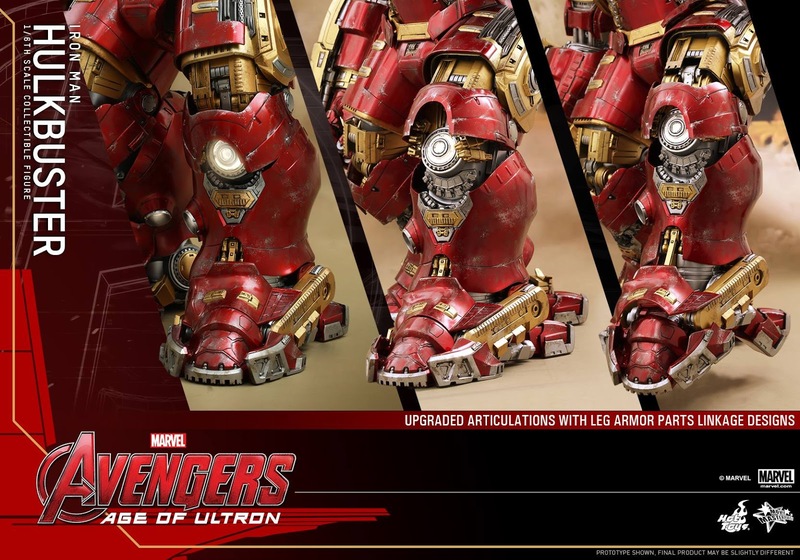 The Iron Man Hulkbuster collectible figure will now also include two additional interchangeable neck armor parts to give fans more options to display the Hulkbuster in different stages of it suiting up, an interchangeable battle damaged chest armor plate, enhanced arm articulations, upgraded articulations on the legs with new armor parts linkage designs, and improved feet articulations! Fans who have pre-ordered this collectible figure will be able to enjoy all these upgrades, and for those who haven't done so yet, be sure not to miss out on adding this astonishing gigantic machine to your collection! 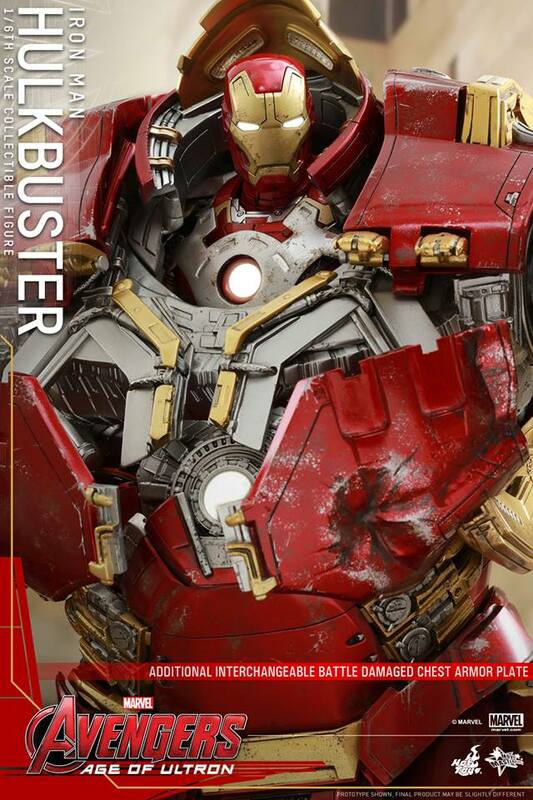 And please stay tuned for more on what else Hot Toys will offer on this amazing 1/6th scale Hulkbuster collectible figure!